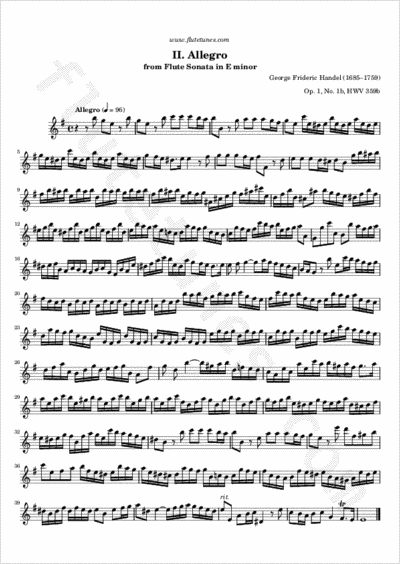 This is the second movement of Georg Frideric Handel's Sonata in E minor for Flute, Op. 1, No. 1b. This sonata was originally composed as a Violin Sonata in D minor, and later adapted for the flute by Handel himself.